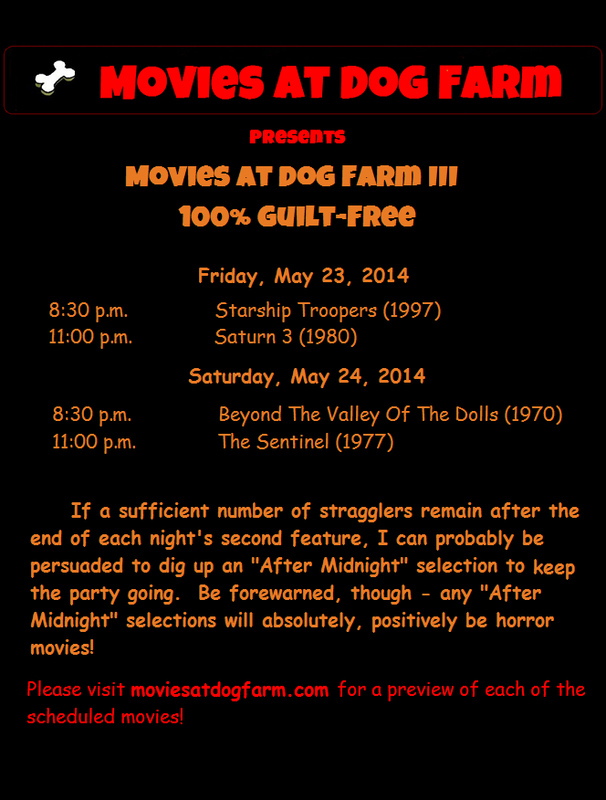 Movies At Dog Farm : I'm Packing Up My 100% Guilt-Free Movies And Heading To The Dog Farm! I'm Packing Up My 100% Guilt-Free Movies And Heading To The Dog Farm! I'm pretty excited, folks, and I'm looking forward to seeing everyone at the Dog Farm this weekend! In particular, I can't wait to see how Beyond The Valley Of The Dolls plays to an audience. Thanks for having us, Phil!